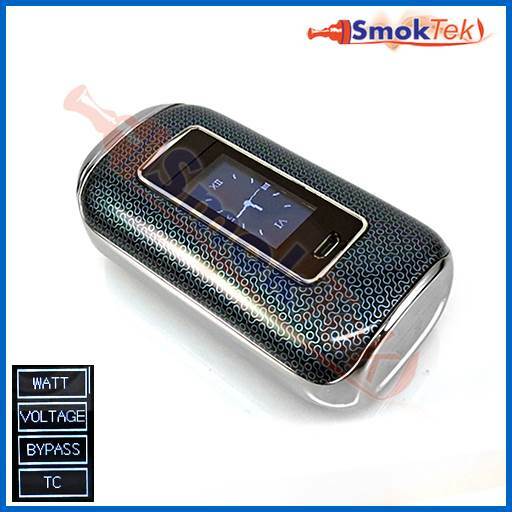 The SkyStar mod is a Variable Voltage/Wattage and Temperature Control mod. 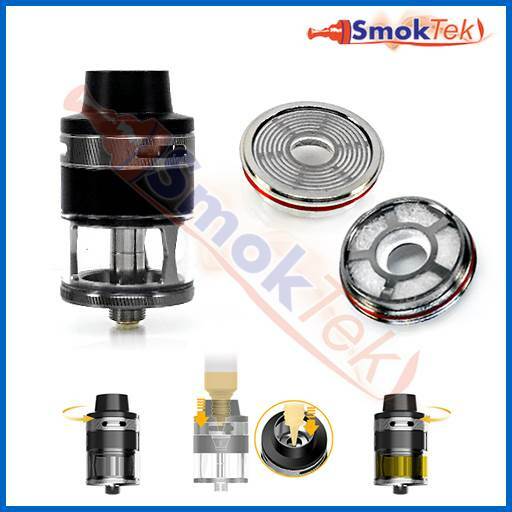 In Variable Wattage (VW) mode, you can adjust wattage between 5.0-210.0W. In Temperature Control (TC) mode, you can adjust between 200-600 degrees Fahrenheit. 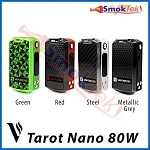 TC mode supports the use of Nickel (Ni200), Stainless Steel (SS316) and Titanium (Ti) wire coils. You can dial in a custom TCR (Temperature Coefficient of Resistance) setting for other type of coil wires, such as NiFe, SS303 and others. The device also allows for Customizable Power Settings (CPS), like wattage preheat/ramp-up time, for a fully customized experience. If you enjoy using rebuildable atomizers on mechanical mods, the SkyStar can be set to Bypass mode in order to harness the full voltage output of the battery (similar to mechanical mods). The SkyStar is very easy to use. You can adjust settings using the fire button and by swiping on the 1.3 inch OLED touchscreen (the fire button sits above the touchscreen). 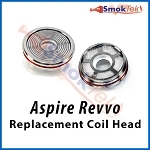 A center-mounted, spring-loaded 510 connection ensures the Revvo atomizer, or any other atty up to 25mm, sits flush and makes a proper connection every time. The SkyStar has an ergonomic design with rounded edges - it feels great in the hand. 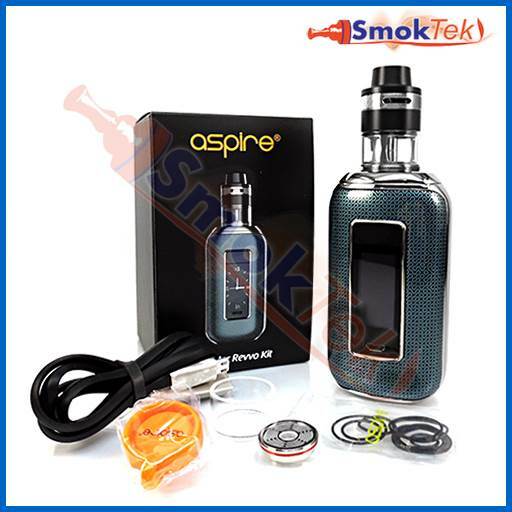 The slate blue finish and chrome trim give the device an elegant appearance. Because the SkyStar is firmware upgradeable, it means this mod will remain relevant in your collection for a long time! 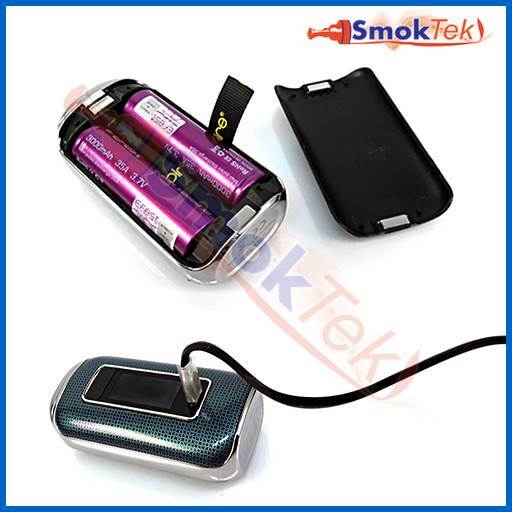 The SkyStar is a dual-bettery mod which offers the convenience of user-replaceable batteries (not included). You can quickly swap out drained batteries for freshly charged ones by removing the magnetic battery door. Charge the batteries separately with an appropriate Li-Ion battery charger, or take advantage of On-Board charging - with your drained batteries still in the device, plug in the included Micro USB charge cable into the Micro USB port on the front of the mod and then into a computer. Please note: batteries and/or Li-Ion charger are not included with this kit. Use the "Make it a Kit" menu above to get both at a discounted price. We recommend charging your batteries with a Li-Ion charger, as it will be much faster. If you choose to use On-Board charging, the manufacturer says the batteries should NOT be removed from the device while they are actively charging - unplug the Micro USB charge cable from the device first.